No, the above title is not a reference to the Beatles’ classic. Tomorrow, May 13th, is the one-year mark of my son, Jordan’s, entrance into Paradise. But, I had been dreading yesterday (5/11), I think, more than tomorrow (5/13). Mother’s Day ’13, unbeknownst to the me, Michelle, Kelsie & Macy would be the last day on planet earth we would have the indescribable privilege of talking to Jordan and seeing him alive. The following day (Monday) was the day I found him. This morning, I walked to the spot in our driveway where I had collapsed. Where I had beat the concrete so hard with my fist that, to this day, I still have pain. And I thanked God for carrying us. This entire past week, leading up to yesterday, was, without question, the worst week in the Watts home since Jordan’s passing. In all of my life, I’ve never exploded with as much rage, much less since my son died. The emotional eruption was so acute it terrified me. My anger was at God. What ensued was ME being on trial – not God. Yesterday….was the most celebrative day I’ve personally had since May 13th, 2013. Jesus carried my family. And He still is. He has heard your prayers. 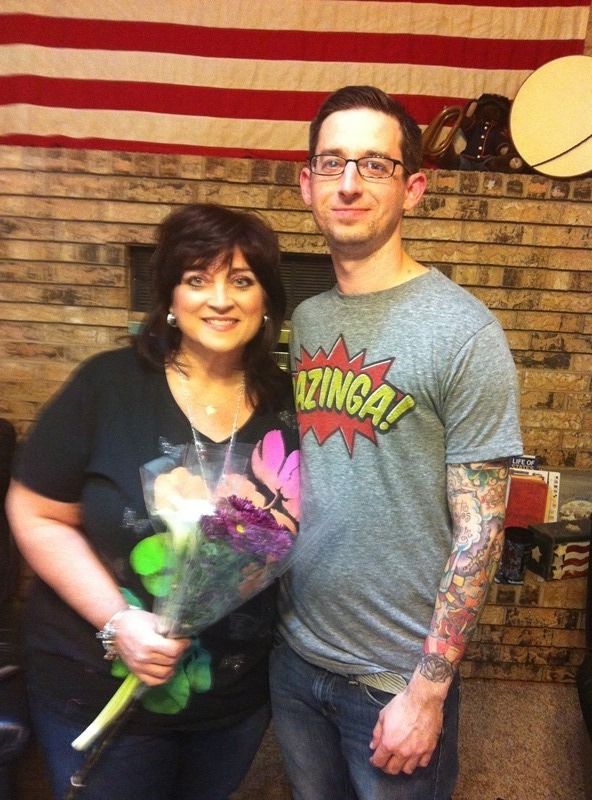 Yesterday….was Mother’s Day. Michelle told me she could feel the prayers of the people of God. My heart leaped for joy! Yesterday afternoon….I received a text from a former student of mine, Joshua Hnatek (last name pronouced “NAH-tek”). He’s a giant of young man. A big teddy bear. Jordan was one of his best friends. Joshua texted me to ask if he could drop by. 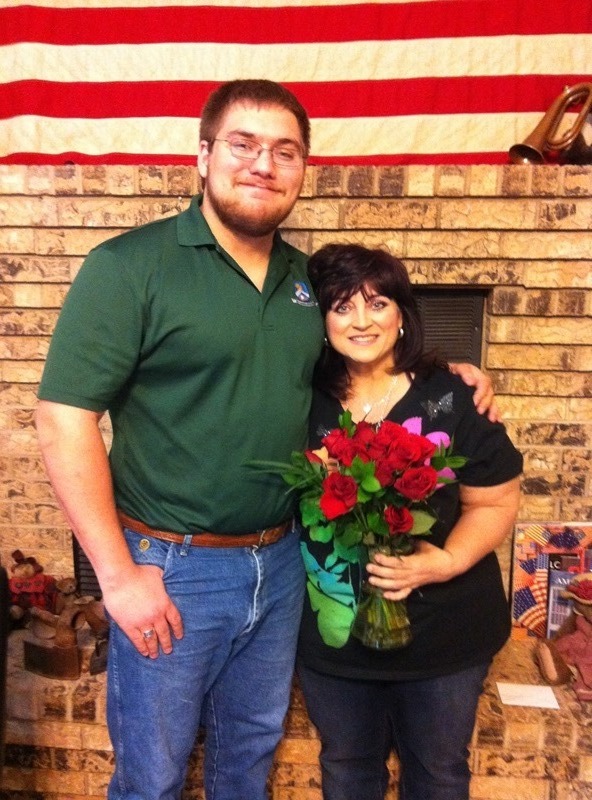 A few minutes later Joshua showed up at our front door with a dozen roses. He came in, stood in front of Michelle, and said something I’ll never in my life forget: “I have a good friend (Jordan) who wanted to be here today, but couldn’t, so I am here on his behalf.” The first photo is of Joshua & Michelle. Dear Jesus, I am so sorry for my rage toward you. But I’m so grateful you allow me to unleash on You – you give me permission to do so. You told me, ‘Bring your rage to Me. I can handle it. And I can transform it.’ You said, ‘Cast ALL your cares upon Me, for I care for you.’ (1 Peter 5:7) I love you, Jesus. I love you so much. Thank You for carrying us. Most of all, Jesus, thank you that, as opposed to a year ago when Jordan was so sick, today he is more ALIVE, FREE, & JOYFUL than I’ve ever been.